In the morning， we will depart from Toronto， heading towards the Capital of Canada-Ottawa. In the night， we will have the chance to enjoy a Raclette Ssavoyarde dinner. 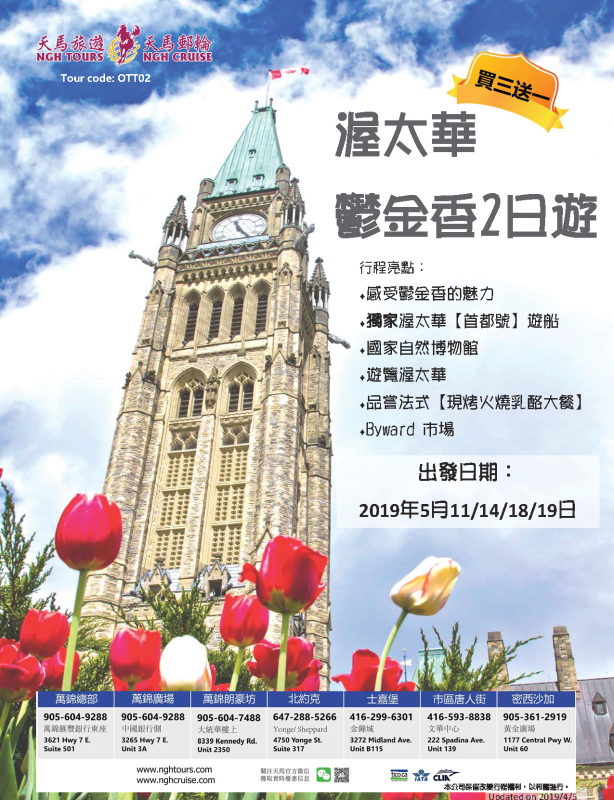 In the morning， we will continue exploring the beauty of tulip around Ottawa， which is known as “tulip capital". 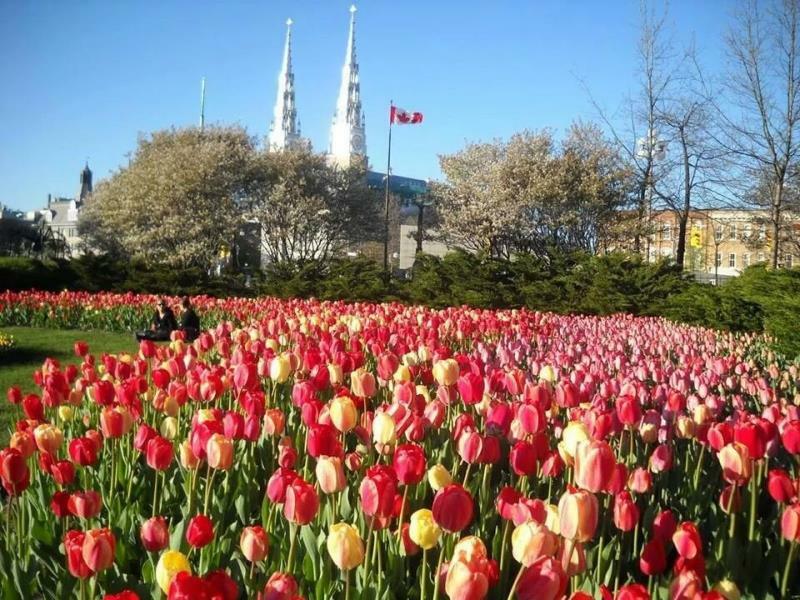 In 1945， the Dutch royal family sent 100，000 tulip bulbs to Ottawa in gratitude for Canadians having sheltered the future Queen Juliana and her family for the preceding three years during the Nazi occupation of the Netherlands in the Second World War. Since then， Netherland will send over 10，000 tulip bulbs to Ottawa every year， which have accumulated to over 1 million tulips in Ottawa. We will then visit Byward Market. It is a buzzing hub of outdoor farmers’ market stalls and specialty food shops. Notably， there is a cookie name after former-president of United state Obama. Proceed to the Canadian Museum of Nature (fee applied). Afterwards， we will return to Toronto， ending the tours to the largest Tulip Festive in the world. Transportation in air-conditioned tour coach. All meals， admission fees or attractions， a service fee to the bus driver and tour guide CAD$14.00 per day per customer ($28/person entire trip) and all personal expense. All fares are based on CAD， for guest only carried USD， should pay extra expense from the difference in exchange rate. -Seated First 4 rows on the bus during the tour.